Lights, Camera, Action! The Shoreline Short Short Film Festival is coming back for its third year! 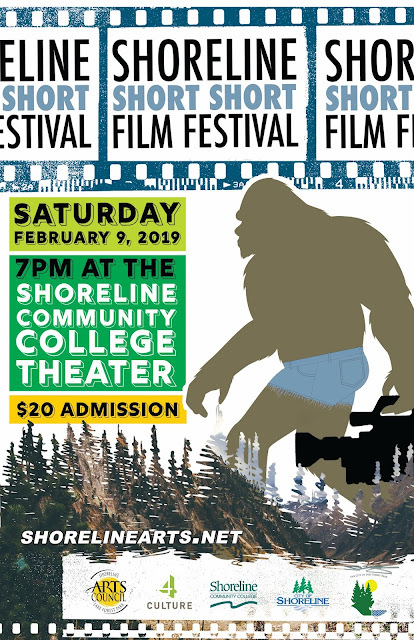 Filmmakers from all over Washington have submitted their “short short” films and you’re invited to see the selected films on Saturday, February 9 at 7pm in the state-of-the-art Shoreline Community College Theater. Doors open at 6pm, and the movies start at 7pm. 9:10PM | Q / A with Filmmakers (We will collect People's Choice Ballots at this time) 9:25PM | Awards Ceremony 9:40PM | That's a Wrap! Tickets are $20, parking (see map) is free, and popcorn, candy, soda, wine, and beer will be available for purchase. Don’t miss your opportunity to support up-and-coming filmmakers during this fun, community event! Reserve your tickets today online or you can buy them at the door.